This super Smuggler, Buccaneer or Highwayman with treasure chest, is sure to cause a stir wherever he is placed. 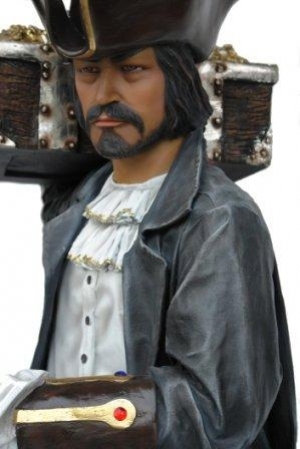 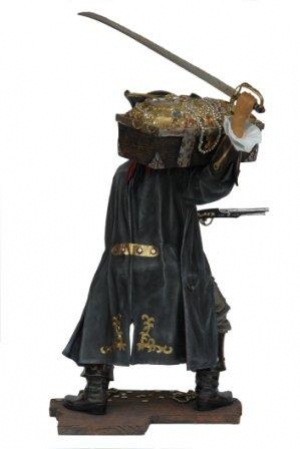 The figure is 6ft tall, with height added by his brandished cutlass, and he carries a treasure chest on his shoulder. 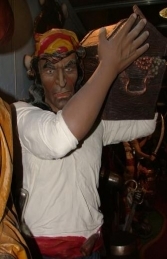 Here is one Pirate who really means business! 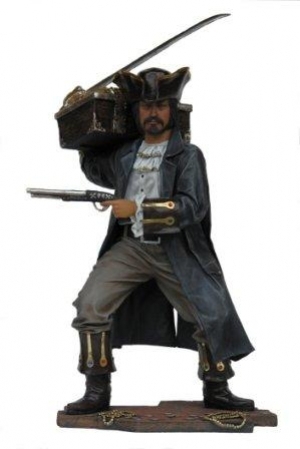 Brandishing a pistol and cutlass, our Buccaneer Pirate figure is making off with his booty on his shoulder, the detail on this model is fantastic. With his tri-corn hat and 18th century dress this model could also be used as a Smuggler or Highwayman. The Smuggler Buccaneer is also available without the treasure chest (JR 2494). 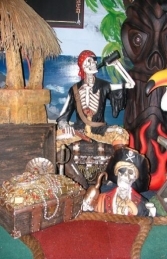 This model can be used in any pirate or smuggling themed area.